While there are many beautiful cats, the Scottish Fold and Scottish Straight cats are in a class of their own. The hallmark of a Scottish Fold cat is its folded ears. 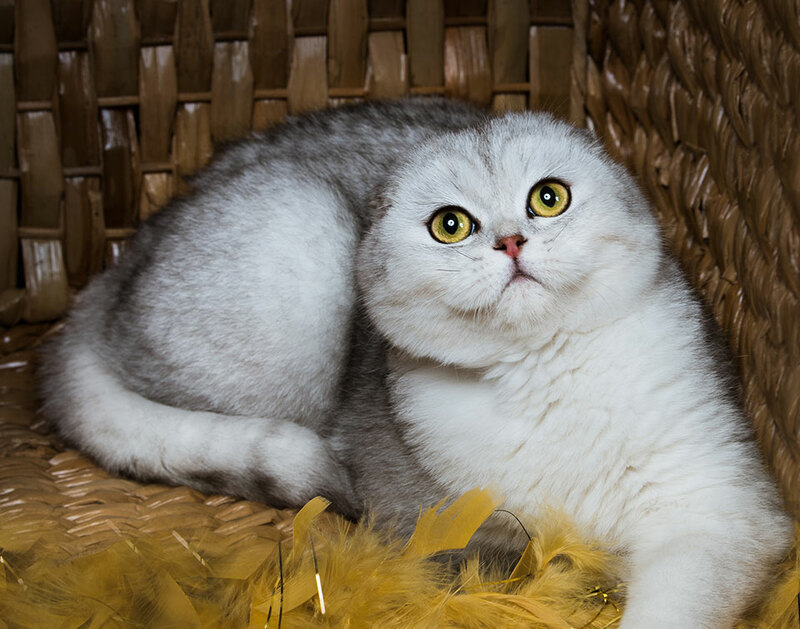 With large, dramatic eyes and short snout, Scottish Fold cat’s faces resembles an owl. Equally at endearing, the Scottish Straight has pointed ears instead of folded ears. These cats have soft, plush fur and can be both short and longhaired. They are often said to resemble teddy bears and puppies. 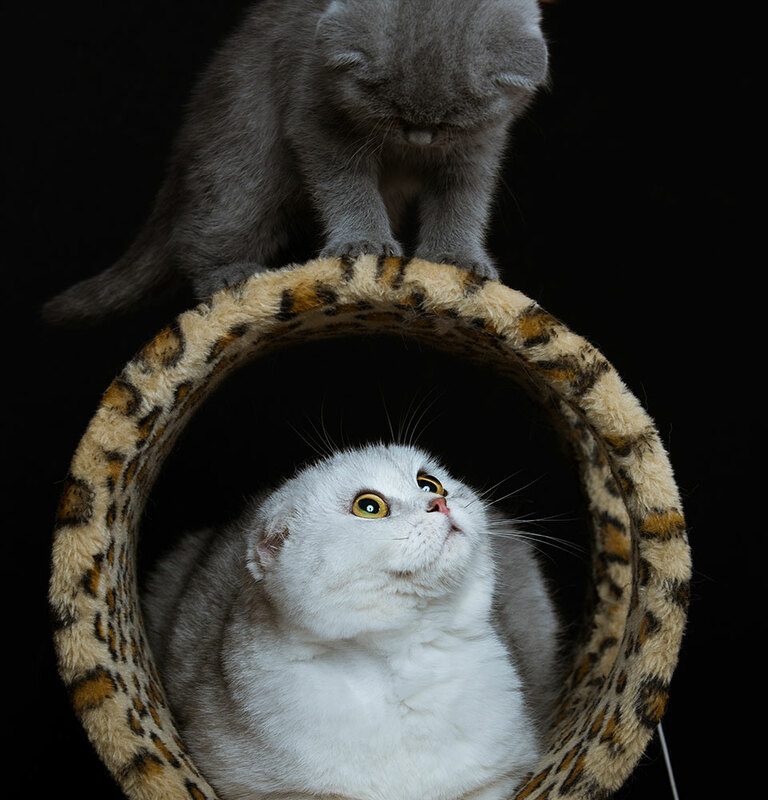 Aside from its beautiful look, the Scottish Fold and Scottish Straight cats have a rich history. The Scottish Fold was discovered by William Ross, a shepherd in Scotland. The first known Scottish Fold was named Susie, a barn cat. Susie was pure white and longhaired cat who was then bred with numerous other breeds, such as American shorthairs, Persian, and Burmese cats. The offspring yielded the round face and plush body known as the modern Scottish Fold. Each Scottish Fold kitten has pointed ears at first, but they begin to droop down when the kitten is about four weeks old. Every Scottish Fold cat that exists today is a descendent of Susie! Besides its adorable, soft appearance, the Scottish Fold cat is full of personality! Unlike many cats, Scottish Folds and Scottish Straight cats are not at all shy and will not hesitate to follow humans from room to room. Both curious and intelligent, these cats are the perfect loyal pet. Scottish Fold and Scottish Straight cats are laidback, sweet, and kind. They love being on all their paws, exploring and playing with people. They love to use their paws to eat and drink, though they also enjoy drinking from running water. When the interest of a Scottish Fold or Scottish Straight cat is piqued, it will sit up like a dog. With such an expressive face, a person almost always knows what this cat is thinking!